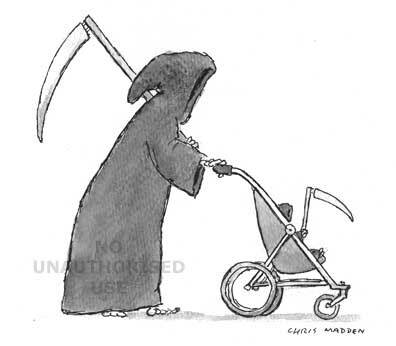 The personification of death in the form of the grim reaper pushing a pushchair or baby buggy in which sits an infant grim reaper. Part of the concept behind the cartoon is to show a link between birth and death. It’s also meant to be humorous because it humanises the grim reaper.